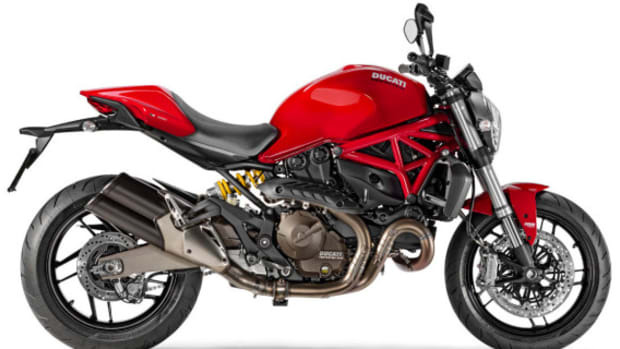 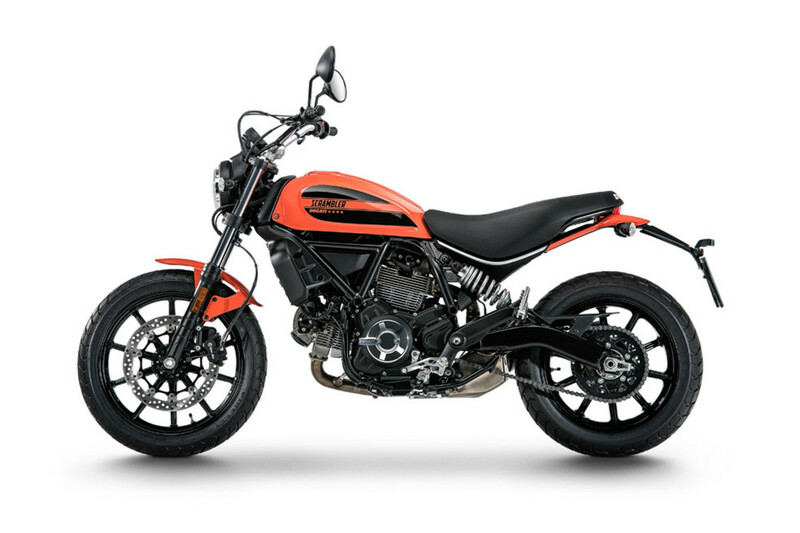 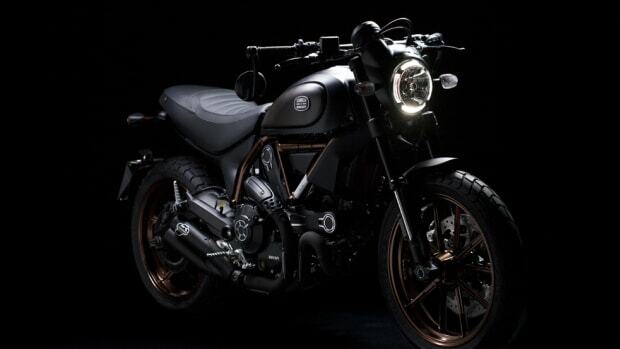 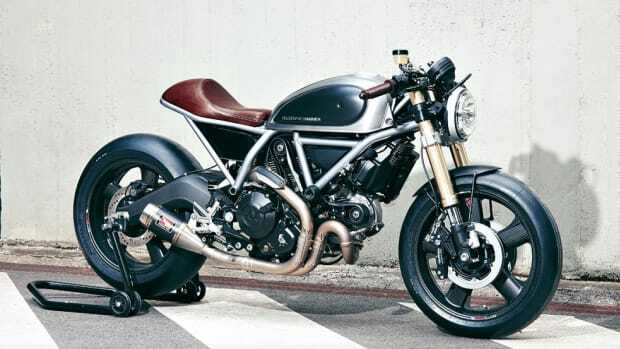 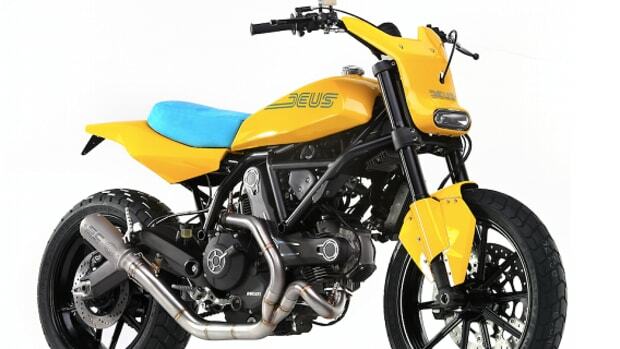 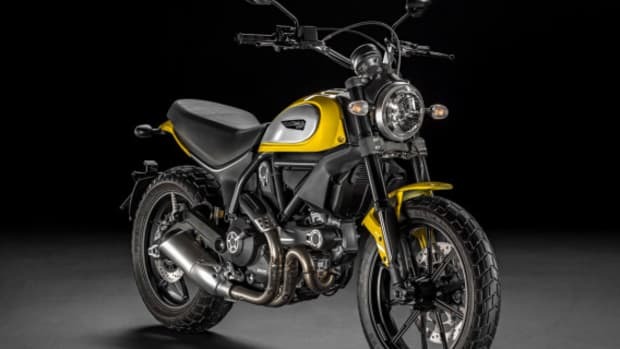 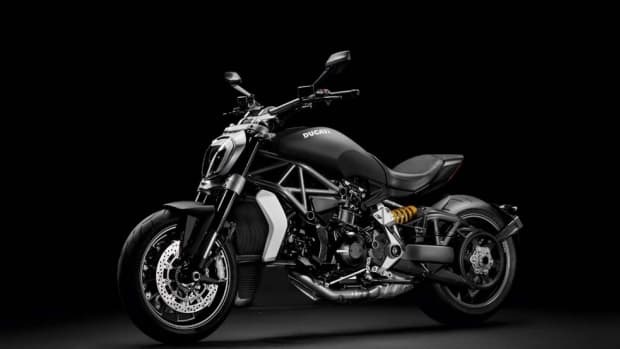 Taking its name from the year the first Scrambler was launched, the Ducati Scrambler Sixty2 is an entry level version of the brand’s wildly successful model. 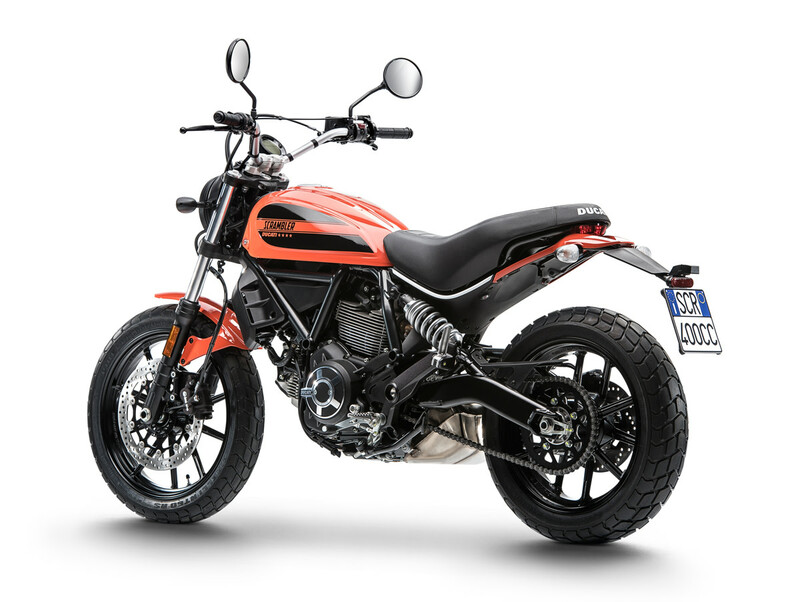 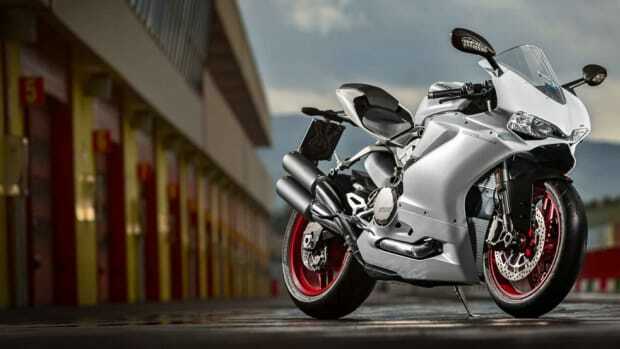 It features a 399 cc twin motor based on the design of the existing 803 cc motor, with power decreasing from 75 hp/50 lb-ft of torque to a more accessible 41 hp/25 lb-ft. Additional changes include traditional front forks, steel rear swingarm and a longer wheelbase (by a sixth of an inch). 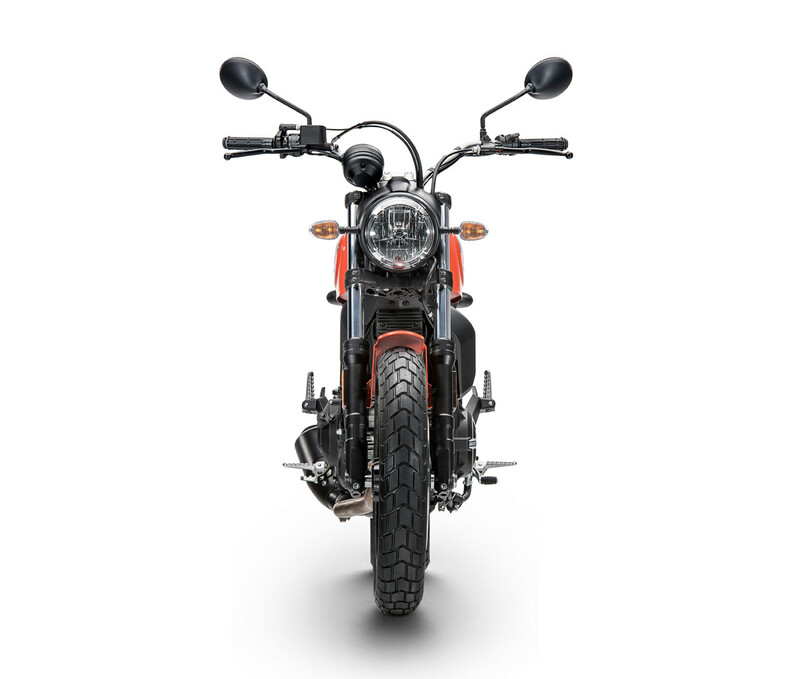 ABS brakes are still standard, but the front disc is now slightly smaller. 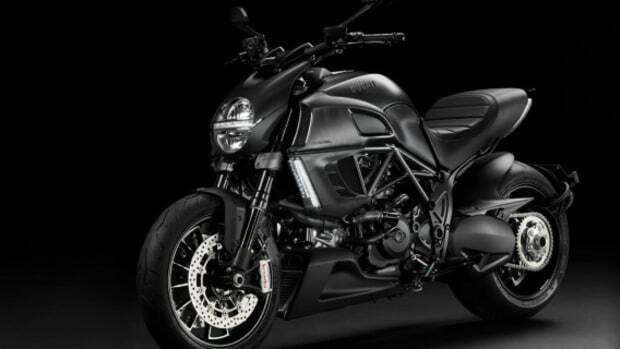 A seven-pound drop in weight — to 403 lbs — is also accompanied by a drop in price, down $500 to $7,995.